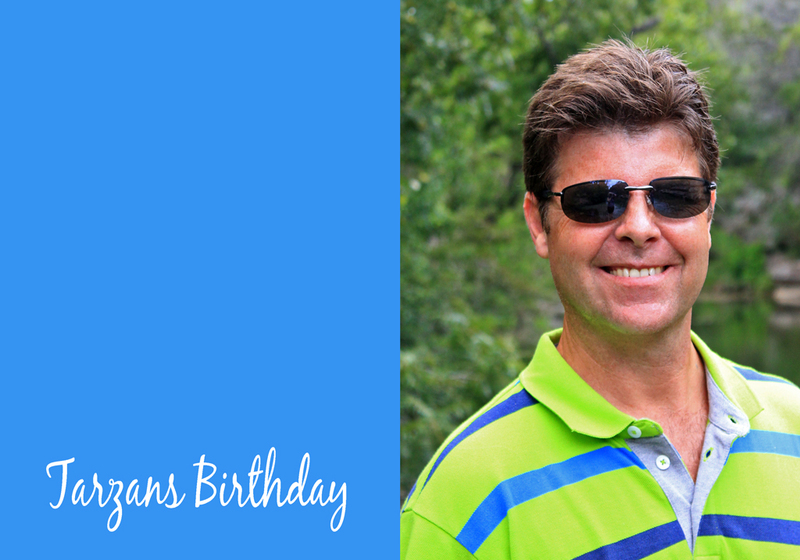 We had a celebration this past weekend…it was Tarzan’s birthday! Yes, my friends…he is getting older. I surprised him by planning a day trip to Wimberley, Texas! It is a 3 hour drive from Houston, our home town. There is SOOO much to do in this charming city! But first, I must share with you our first stop. 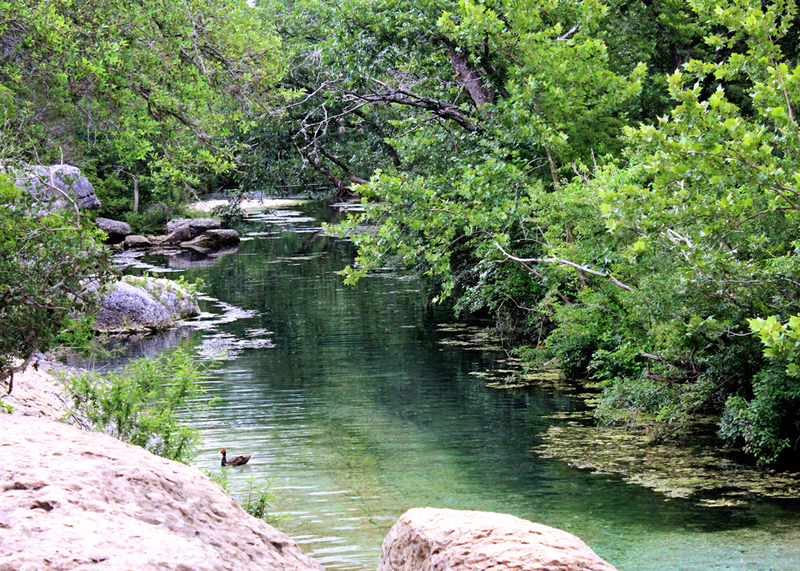 It is called Jacob’s Well Natural Area. The water flowing from Jacob’s Well, which is actually an artesian spring, is pushed forth naturally from the Trinity Aquifer roughly 140 feet below the surface. With layered limestone cliffs on one side, a vibrantly vegetated bank on the other and a lively riparian area alongside the creek. In the image above, you see the entrance of the well, yes…just a simple plank to enter into the springs. What an experience this was for the two of us. Neither one of us had seen anything like this. 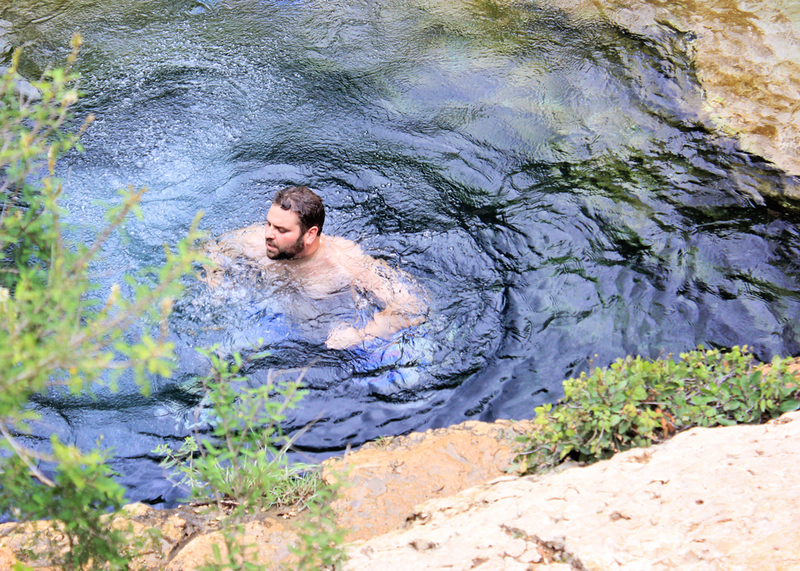 The cultural and natural heritage of Jacob’s Well had made it an integral part of our Wimberley experience. It is a beautiful place to swim, observe birds and many other kinds of wildlife, take photos…MAJOR LOVE, hike or have a picnic with the family. My only disappointment was we were here in the middle of the day…high noon…a no no for landscape photography. 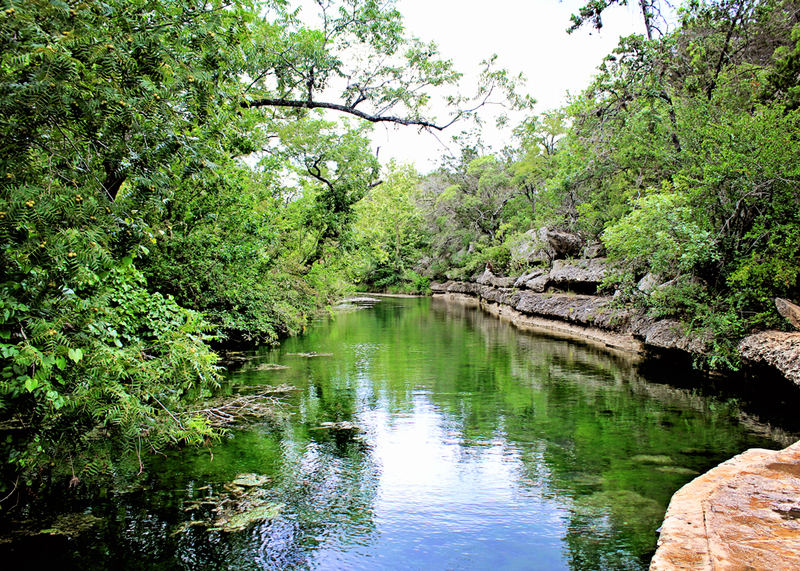 I wasn’t able to capture the real beauty of this gem with the glare of the sun…please visit Jacobs Well site here to see what it looks like when the sun starts going down…breathtaking. 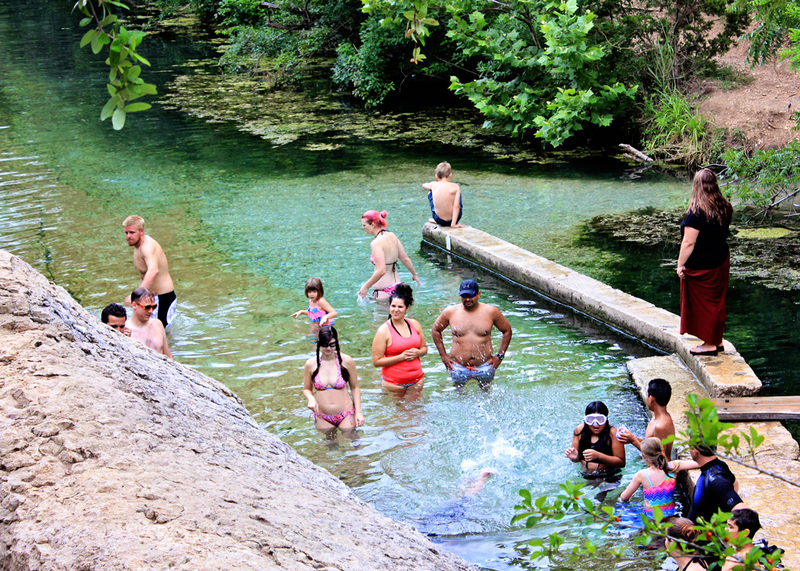 Jacob’s Well is fed into the beautiful Cypress Creek…here is the view facing west. The view of the creek facing east. Can someone pass me a glass of wine…as I take in this view? You know you just have to love this man! He puts up with all of Jane’s surprise adventures! Stay tuned…there will be more of this charming city in the next couple of posts. Have a lovely July 4th my friends! One of my dorm mates during my freshman semester at Texas A&M University in September 1973 was from Wimberley. He showed us pictures of that place and it became a home away from home. His parents’ place was right on the banks of the Blanco River with the best backyard I’ve ever seen. Who knew that you could go swimming in a real river by jumping from the grass in your own backyard? Russel it was just wonderful, I am glad you were able to witness this place also. Your friend is one lucky fella. The water looks so fresh and clear I am sure everyone had an amazing time. It does look beautiful ! … and you can even go in the water… lovely! What a beautiful spot. And belated Happy Birthday to your special man. That water looks absolutely pristine! Gorgeous place to take a swim and make a day of it! Happy birthday Tarzan. Looks like a great place to visit Laurie. Happy Birthday to Tarzan! And what a beautiful location – a hidden treasure! Looks like the perfect spot to go on a hot summer day. Happy 4th! Happy birthday. What a lovely place! The photos, despite the mid day sun, still conveyed the beauty of the area. What a wonderful place! Lovely. And how nice to surprise your Tarzan. There is something serene about water – I never tire of watching it change. That reminds me – I must go and visit the coast very soon! What a great spot, Laurie. That view of the creek facing east is truly breathtaking. Seems like this area is very well preserved. Hey Laurie, What beautiful shots! Tomorrow is my brother and nephews birthday. Happy 4th July to you. I’ve heard about this – how cool to get to see it!! Happy birthday to Tarzan and happy 4th!! Best belated birthday wishes to your Tarzan! What a great place to celebrate a birthday! Looks like a beautiful place. Happy Birthday to Tarzan! awesome, thanks for sharing! 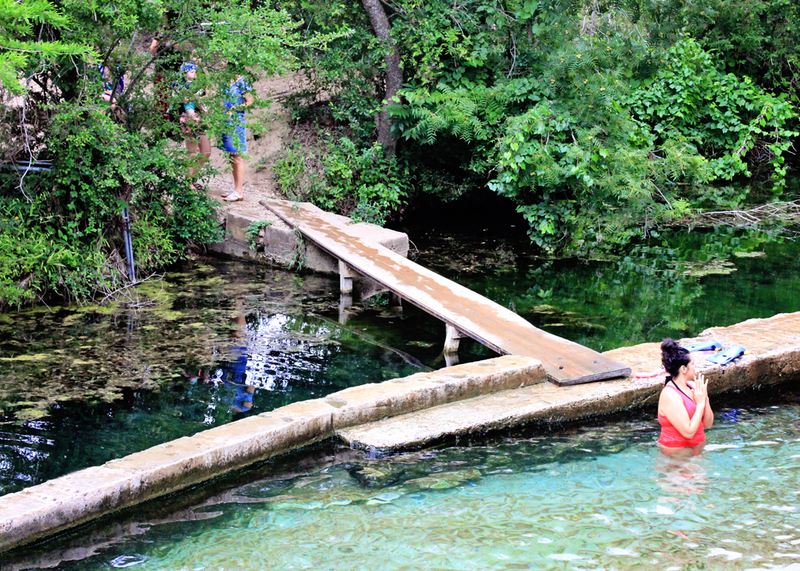 i went to college in san marcos, so i’ve swam in lots of areas similar, but i’ve never actually been to jacob’s well. it’s on my list now! we used to drive to wimberley for margaritas in college! they also have a cool craft fair, called Market Days, once a month. aaannnd there’s a glamping spot called Sinya on Lone Man Creek that I’ve been dying to try out! can’t wait to read more of your adventures! Beautiful pics! Happy B-Day to Tarzan!! Happy Birthday to Tarzan! And that is a beautiful oasis you found. Thanks for sharing! A very Happy Birthday to Tarzan!!! This looks like such a wonderful place to visit, Laurie. Nice destination for such a celebration. What a beautiful place to stop at Laurie. And a special place to have a swim in natural waters – something I would be tempted to do just for the experience. I like Jane’s sense of adventure! Looks like a fun and adventurous celebration…and your photos are terrific. It looks quiet and peaceful. Nice place to relax. What a great spot to visit! And a happy belated birthday to Tarzan! Have a great 4th of July Laurie, in company of your beautiful family! 🙂 Your post is beautiful! Happy Birthday to Tarzan, looks like a lovely spot.